The ideal investment for the savvy investor, this spacious 1 bedroom 1 bathroom apartment is conveniently located just 25km south east of Melbourne. 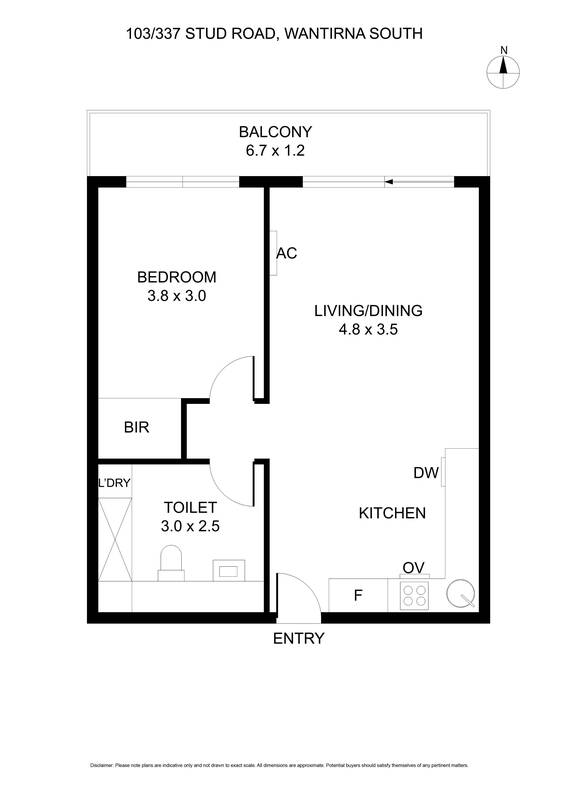 Consisting of a unique layout with two self-contained separate living quarters, this low maintenance apartment offers a modern kitchen with stainless steel appliances, large bedrooms, two bathrooms and a generous balcony outdoor area. Superbly positioned across the road from the bustling Westfield Knox City Shopping Centre and Swinburne University, the apartment is currently leased to the reputable Punthill Apartment Hotels who look after all maintenance and outgoings relating to the property. Investors enjoy high returns, yearly CPI adjustments during the term of the lease and all without the headaches of finding and managing new tenants every term. The apartment also offers convenient facilities for its guests such as a gym, swimming pool, garden and BBQ area and state of the art conference rooms. A perfect set and forget investment for the SMSF or entry-level investment, this is rare opportunity is not to be missed.